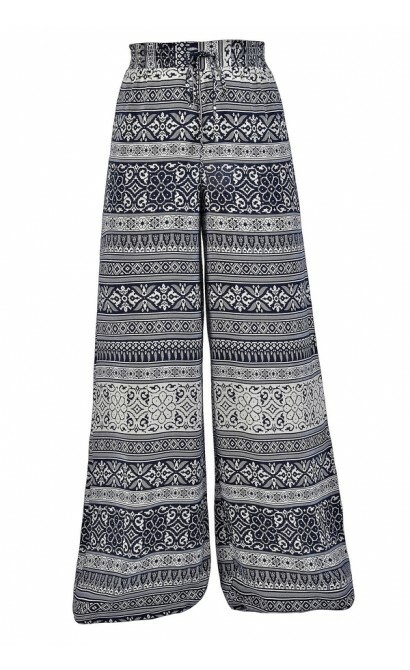 You have added Plentiful Patterns Printed Palazzo Pants in Navy/Cream into shopping cart. The combination of navy and cream paired together on these wide leg palazzo pants creates a chic, classy look. The Plentiful Patterns Printed Palazzo Pants are made of a fluid fabric with a navy and cream geometric, stripe, and floral pattern throughout. 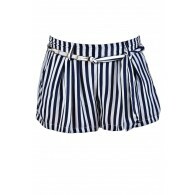 They have a banded elasticized waist with a drawstring that can be tied into a bow. 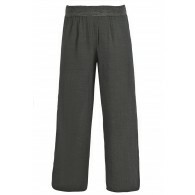 These pants have a longer length, so they are perfect for taller girls or they can be hemmed shorter to fit. 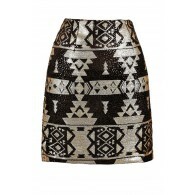 The Plentiful Patterns Printed Palazzo Pants look nice paired with a fitted tank or tee. 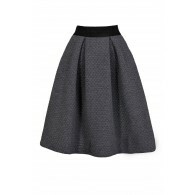 Toss a denim jacket or a cardigan over these pants for a cute, casual daytime look. These pants are perfect to wear when traveling when you want to be comfy but still look cute. 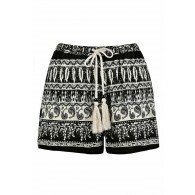 They also look great worn over swimwear as a cover-up. Details: Unlined. 100% rayon. Dry clean only. 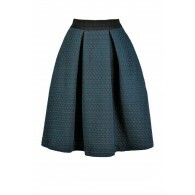 Small measurements: Length from top of waist to hemline: 45". Waist: 30". 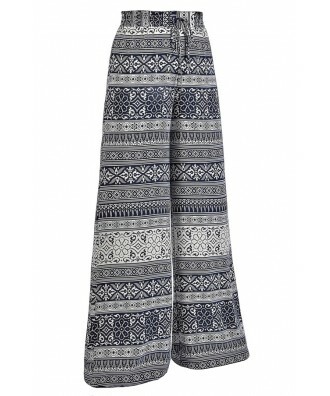 You have added Plentiful Patterns Printed Palazzo Pants in Navy/Cream into Wishlist. You have added Plentiful Patterns Printed Palazzo Pants in Navy/Cream for Stock Notification. 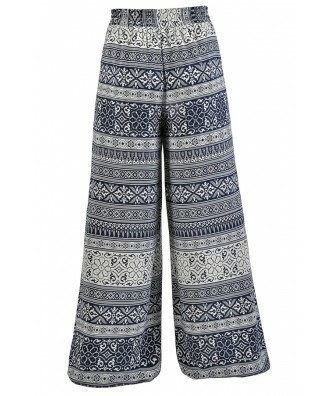 You have set Plentiful Patterns Printed Palazzo Pants in Navy/Cream as a loved product. 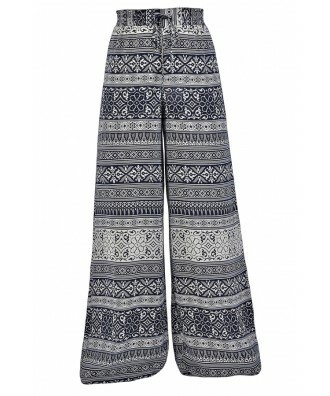 You have removed Plentiful Patterns Printed Palazzo Pants in Navy/Cream as a loved product.